Canyon Stone veneers are a popular choice for homeowners who love the look of natural stone, but cannot use it for their remodeling projects for one reason or another. In some cases, for instance, people just can’t afford natural stone, and in others, natural stone is too heavy for the surface it is going to be attached to. In both of these situations, the authentic appearance of Canyon Stone is the perfect alternative. If you’re thinking about having Canyon Stone installed somewhere on your property, reading this guide will prepare you for maintaining it properly. This particular veneer requires relatively little upkeep, but it is still important to know what you will need to do to care for it before you have it installed at your home. It’s never a good idea to get into any kind of home renovation without doing your research first! How can Canyon Stone be used? 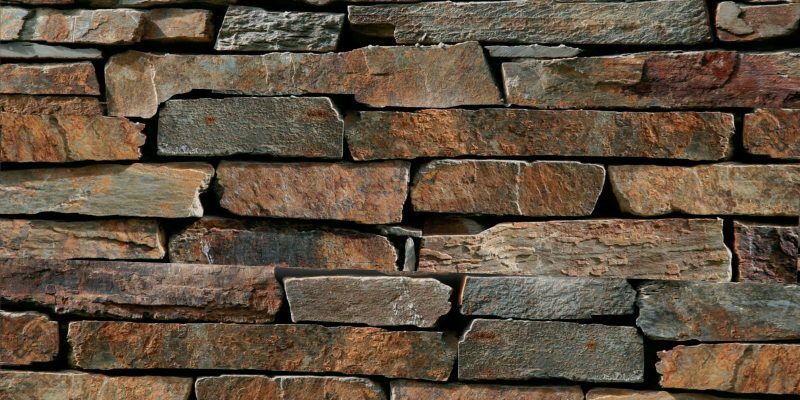 First, it is crucial for you to know about the various applications of Canyon Stone veneers. The material can be utilized for a wide range of projects, from pool surrounds and patios to exterior coverings on houses. More or less, whatever you can imagine, Canyon Stone can probably be used for the job. If you are thinking about using the same type of stone veneer for multiple projects, make sure you discuss it with your contractor first to make sure you’re on the same page. Will I need to seal my Canyon Stone? In most cases, Canyon Stone does not need to be sealed. The product is manufactured using specialized additives that will keep it from deteriorating. The only time homeowners may want to consider sealing their stone veneers is when they are going to be getting excessively wet on a regular basis. If, for example, you installed Canyon Stone around your pool, you should consider having it professionally sealed about once per year. Can chemicals damage my Canyon Stone? Certain chemicals and cleaning products, including pool products, probably won’t cause fundamental damage to your Canyon Stone but are likely to discolor it. Therefore, it is best to avoid contact between your stone and any harsh chemical mixtures. It also bears noting that salts and ice melts used in cold areas, such as mountainous North Carolina, can damage Canyon Stone to the point it needs to be replaced. Keep this in mind if you reside in a chilly climate. How should I clean my Canyon Stone? Canyon Stone products are not difficult to clean. You can use soap and water to remove most dirt and lawn waste. If your stone becomes especially dirty, power washing it is an excellent option. You should also be aware of the possibility that your stone will experience efflorescence over time. This process, which is signaled by whitish or greyish color on the surface of stone pieces, occurs when lime travels through the stone and settles on top. It is completely natural and does not harm stone veneers in any way. To remove the effects of efflorescence, you should use a stiff cleaning brush and a vinegar and water mixture. If you are interested in learning more about Canyon Stone or if you’re ready to schedule a consultation about having it installed, the team at Hatch Homes would be happy to work with you. We enjoy all sorts of remodeling jobs that involve Canyon Stone and look forward to helping you make your vision a reality!